proficient in HR. Progress on our efforts to optimize gene targeting strategies will be reported. Dr. Daniel Voytas is a Professor in the Department of Genetics, Cell Biology and Development and the Director of the Center for Precision Plant Genomics at the University of Minnesota. Dr. Voytas graduated from Harvard College in 1984 and received his Ph.D. from Harvard Medical School in 1990. He conducted postdoctoral research at Johns Hopkins University School of Medicine where he was a fellow of the Life Science Research Foundation. Prior to joining the University of Minnesota, Dr. Voytas was a professor at Iowa State University (1992-2008). Dr. Voytas is an elected Fellow of the American Association for the Advancement of Science. Specializing in molecular biology and genetics, Dr. Voytas’ research focuses on genome modification using nucleases that recognize specific DNA sequences. In 2005, he co-founded the Zinc Finger Consortium, a group of academic scientists focused on creating open-source platforms for engineering zinc finger nucleases for targeted mutagenesis. His laboratory developed a superior class of sequence-specific nucleases – Transcription Activator-Like Effector Nucleases (TALENs) – which were heralded by Science magazine as one of the top ten scientific breakthroughs of 2012. Using Cas9/CRISPR-based nucleases, Dr. Voytas’ lab is currently optimizing methods for efficiently making targeted genome modifications in a variety of plant species. Recent advances in Dr. Voytas’s lab include the use of geminivirus replicons to dramatically increase the frequency of precise genome modifications in multiple plant species. Bio: Dr. Daniel Voytas is a Professor in the Department of Genetics, Cell Biology and Development and the Director of the Center for Precision Plant Genomics at the University of Minnesota. Dr. Voytas graduated from Harvard College in 1984 and received his Ph.D. from Harvard Medical School in 1990. He conducted postdoctoral research at Johns Hopkins University School of Medicine where he was a fellow of the Life Science Research Foundation. Prior to joining the University of Minnesota, Dr. Voytas was a professor at Iowa State University (1992-2008). Dr. Voytas is an elected Fellow of the American Association for the Advancement of Science. Specializing in molecular biology and genetics, Dr. Voytas’ research focuses on genome modification using nucleases that recognize specific DNA sequences. In 2005, he co-founded the Zinc Finger Consortium, a group of academic scientists focused on creating open-source platforms for engineering zinc finger nucleases for targeted mutagenesis. His laboratory developed a superior class of sequence-specific nucleases – Transcription Activator-Like Effector Nucleases (TALENs) – which were heralded by Science magazine as one of the top ten scientific breakthroughs of 2012. Using Cas9/CRISPR-based nucleases, Dr. Voytas’ lab is currently optimizing methods for efficiently making targeted genome modifications in a variety of plant species. Recent advances in Dr. Voytas’s lab include the use of geminivirus replicons to dramatically increase the frequency of precise genome modifications in multiple plant species. 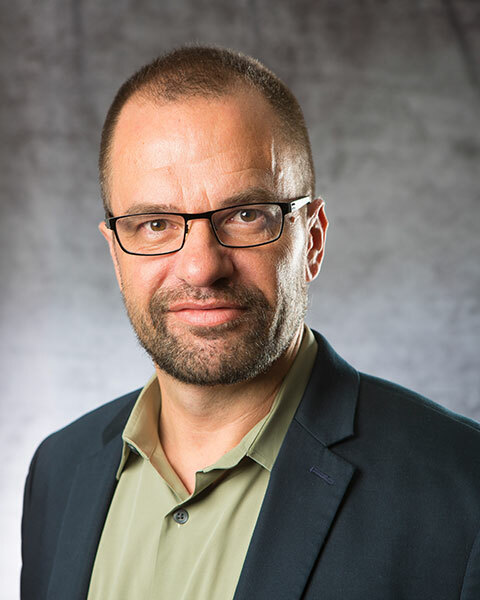 In addition to his position at the University of Minnesota, Dr. Voytas advises agricultural biotechnology companies on the use of new methods of genome engineering for crop improvement and serves as Chief Science Officer for Calyxt.